My new book had been published and I am very proud of the result. 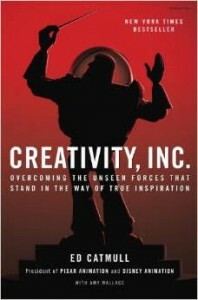 The book is available on Amazon and other book sites. BookDepository seems to be the cheapest, it has free postage. In this book I share the reporting techniques that I’ve learned over the 20 years that I’ve been using spreadsheets. You don’t need to be an advanced user to take advantage of this book. If you have basic skills, the book with guide you through the techniques required to create advanced, automated reports. As a bonus I have started a webinar series based on the book – see bottom of page for recording links. Use the button below to register for upcoming live book webinars. If you own the book, the live webinars are free – there is a clue from the book that is the free voucher code. These webinars have no manuals – the book is the manual. 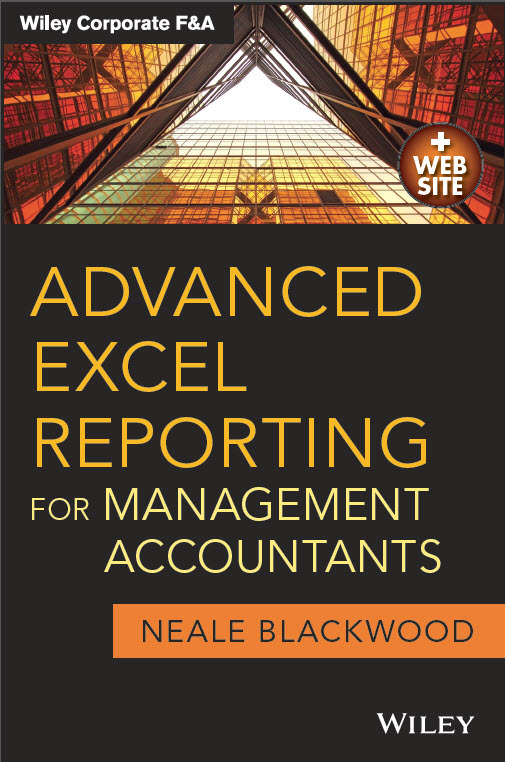 Even though the book is aimed at Management Accountants, the techniques in the book can be applied by most Accountants and finance staff. Excel skills are portable, and the better you are with Excel, the easier your everyday tasks will become. The book finishes with two separate case studies that demonstrate how to bring together most of the book’s techniques into a reporting model. This book contains lots of practical tips and tricks throughout the chapters. It also explains how to avoid common traps when creating reporting spreadsheets. 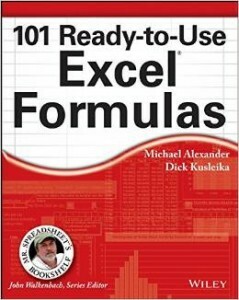 I have assumed the reader is using Excel regularly and has a basic grasp of Excel and how to create formulas. 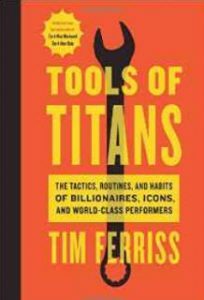 The book takes the reader through some of the basics required to build effective formulas, and then builds upon those skills and explains advanced techniques in an easy to understand style. I’ve included lots of images to help explain the techniques. I started the webinars with Chapter Three as Chapters One and Two weren’t webinar material. I am only making the first four recordings available for free on this site. You can contact me directly to get access to other free and paid sessions in the series.